Be 10 Times More Ready for the NEET PG! NEET PG Online test series is the fastest growing NEET–PG Test Series with first test free. Medi Prep provides NEET PG test series online with authentic questions, real exam simulation, image-based MCQs, answer key, subject-wise analytics and more. Medi Prep is the only NEET PG test series online portal offering authentic courses on the latest NEET PG pattern. We are the number 1 online NEET PG medical entrance examinations screening portal. MedExamsPrep has been voted as the best and most popular online medical examination preparation portal of India. The portal provides an appropriate mixture of previous year’s questions and new questions in the question paper to provide a student a real examination hall like experience. 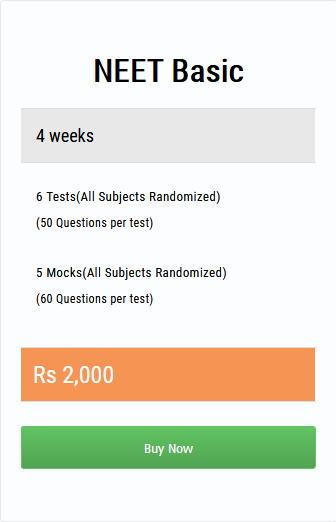 The NEET PG test series online portal provides the student with an option for both online and offline examinations. Fully explained solved answer keys of all questions will be given immediately after completion of the online tests. All students enrolled in between the session will get all previous NEET PG Test papers and they will be provided an estimate of their ranks for exams they missed. The online portal – http://medexamprep.com provides every student’s progress report, which will be maintained at the online platform for every student where a time series line graph will enable each student to measure his progress and such time series line graph for last year’s toppers will also be provided for comparison. The online portal – http://medexamprep.com also provides specialized courses which are designed by experts in the respective fields.